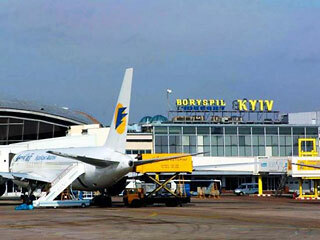 Most of international flights to Kiev arrive at Boryspil International Airport, located 34 km (21 mi) from the city center. 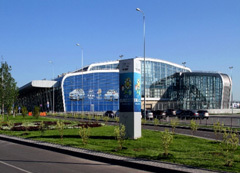 Organizing Committee plans to arrange the meeting of the participants at the Boryspil International Airport and their transportation to the destination place. For you convenience you need to precise the date and time of your arrival. Kyiv (Zhuliany) International Airport is located in the Zhuliany neighbourhood in the south of the Ukrainian capital Kyiv. 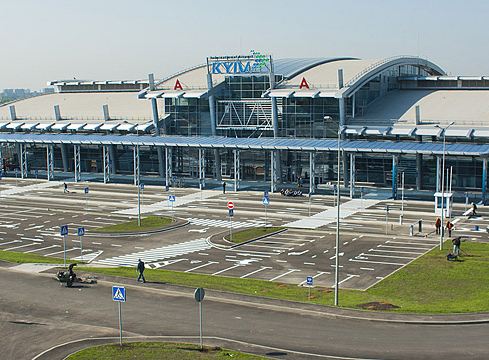 The Airport is connected to the city's main highway infrastructure via the Povitroflotskyi Avenue, and served by a number of city transport routes, including Bus Route 9 (Kyiv Airport — Kiev Passenger Railway Station). The new terminal is planned to have VIP-lounges for the passengers of international and domestic flights, and also modern Duty Free. Surrounding area of the new air terminal has 2 parking lots with 25 bus parking spaces and 1,1 thousand car parking spaces. 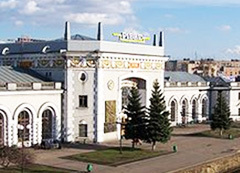 Kiev Passenger Railway Station (Ukrainian: Kyiv-Pasazhyrs'kyi) is a complex of Kiev's Central Station and adjoining Southern Station, plus the adjacent Suburban Station, together serving more than 170,000 passengers per day (as of 2005). The station complex thus provides long-distance and international services, and short-distance service (elektrichka) for suburbs (including dacha areas), minor city stations, and nearby regions. 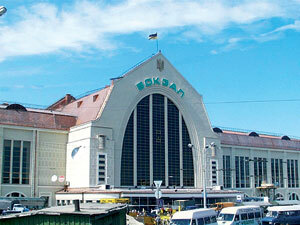 The Kiev Metro Sviatoshynsko-Brovarska Line station Vokzalna is situated nearby, constituting the station's main intersection with city transport. 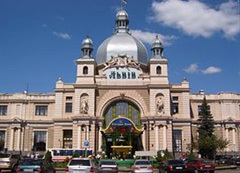 The Main railway station in Lviv, Ukraine also known as Lviv-Main. It is one of the most notable pieces of Art Nouveau architecture in former Galicia. The station was opened to the public in 1904, and celebrated its centennial anniversary on 26 March 2004. On a monthly basis, the terminal handles over 1.2 million passengers and moves 16 thousand tons of freight.